Another year, another Fancy Food Show. What’s new? Two things this year: it will take place in Washington DC, instead of NYC; and Gustiamo will not go. But Gustiamo’s Piennolo Tomatoes will be there as a candidate for the Best Product of the year, the SOFI competion,, whose results will be announced at the Fancy Food Show on July 12th. 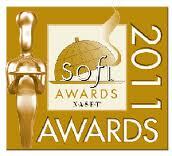 We just sent a jar of Piennolo Tomatoes to NASFT, the organization that puts up the SOFI awards, and from now until the 12th of July, we will pray and cross our fingers. Do the same with us, pls. It might help! If the judges accept that there is a life beyond “local”, we think these tomatoes should win. Why? The New York Times likes them; They are the MUST ingredient (together with San Marzanos) for the authentic Pizza Napoletana; They are made by Casa Barone, an organic farm on Mount Vesuvio; They are a species of tomato in danger of extinction, protected by a Slow Food Presidium; No irrigation is used to grow them; If the farm did not employ many workers, many more people would join the camorra; The foot print to bring these tomatoes to the Bronx by boat is equivalent to a trip from the west coast. But, really, WHY should they win? They are very very good!!! Previous Post Gustiamo’s Olive Oils Receive the First 3 Foglie by Gambero Rosso!!! 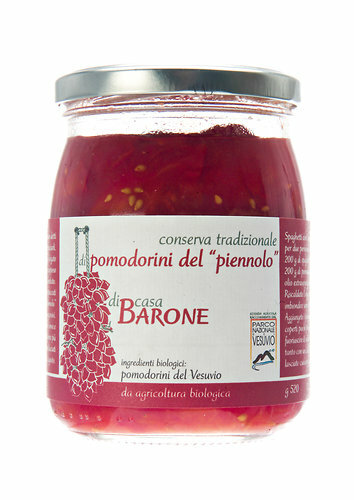 I received my order so quickly the other day, and I am so happy that my beloved Piennolo tomatoes are back. A big jar (1 kg) holds up pretty long (in the fridge after opening), and I am adding it to various dishes as a natural taste buzzer. Like Casseroles or soups or even stews, they are all enhanced with just a spoonfull of these little gems. Tonight I am going to cook the last green beans for this year, and guess what their accompaniment will be? Yes, the Piennolo!